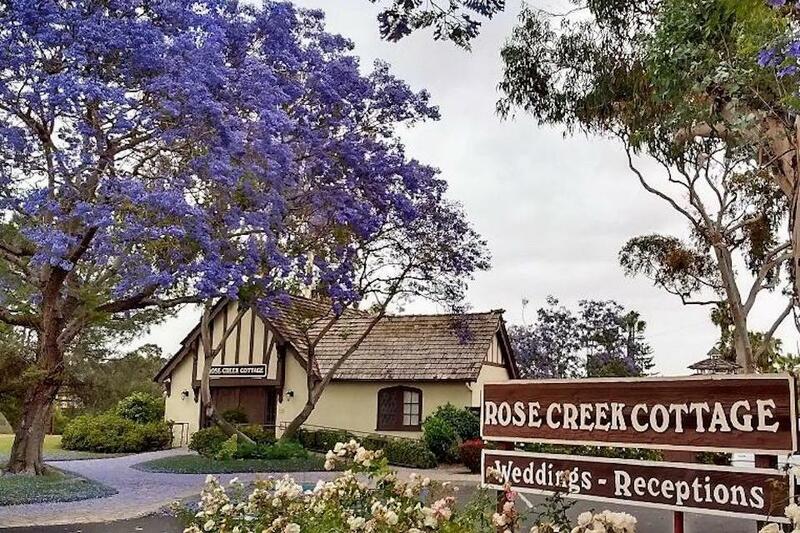 Rent Rose Creek Cottage | Corporate Events | Wedding Locations, Event Spaces and Party Venues. The Rose Creek Cottage is a quaint, historic English Tudor cottage with a chapel interior and a gazebo on the garden patio for receptions. We offer complete packages for an easy, successful event. We can provide everything but the fiance! The Cottage can accommodate up to 80 people in the chapel for the ceremony & on the patio for the reception.We can help you plan a wedding, reception, anniversary party, renewal of vows or a memorial service. A bridal lounge is available for the bride & her court prior to the ceremony. The patio is available for receptions and includes tables, chairs, music, market umbrellas and/or patio heaters. We offer all the services needed for a successful event. Table linens are available to rent in a variety of colors. Viewings are available by appointment.